Confused about where to go for your holiday in Belize? Let your travel bug take you to our Corozal District. Our Sarteneja Fishing Village has a population of approximately 2000 and a choice destination for a growing expat community. Although not overly "touristy", the village still maintains its charm of having sandy streets, old village landmarks, barefoot walking, quiet and quaint. 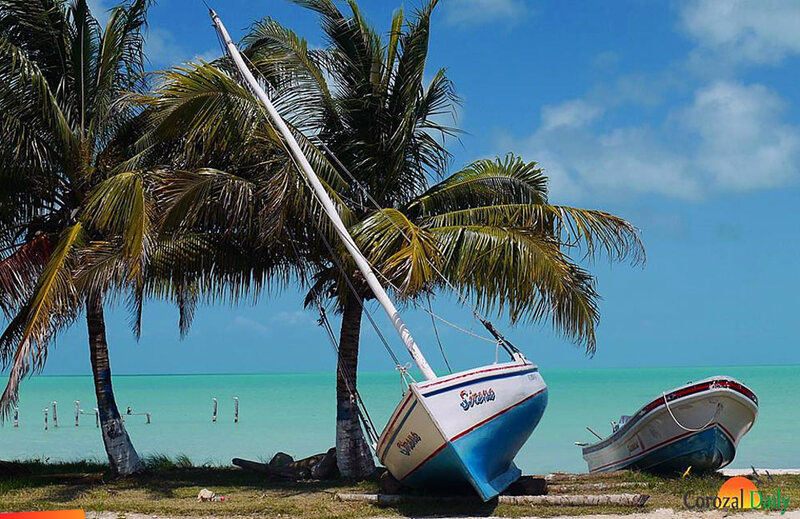 Sarteneja is known for fishing and for the building of wooden boats. Some gorgeous sail and fishing boats have been made here. Most activities happen right at the foot of the main municipal dock. You can spend a lot of your time just mingling with the locals who traditionally sit under the "palapas" or pick their favourite "tree spot" to share their fish stories. Sarteneja is the charm of our Corozal District. Come visit us for your holiday. You can travel by road (which is not bad! ), by water taxi (Thunderbolt) or fly in with any of the two commuter airlines (Tropic or Maya). I visited recently and had nice fish courtesy of good friends like Andy and Antonino. It's a 30 to 45 minutes travel with Thunderbolt from beautiful Corozal Town. The inhabitants are friendly even when they don't know you. The "Verdes" and the "Riveros" are iconic families. Wonderful people! Most of the restaurants are located at the foot of the municipal boat dock.